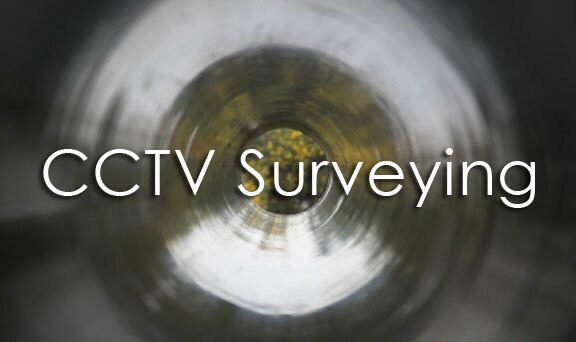 Our sewer surveys are reported on a specialist computer package, Wincam, which produces DVDs providing standard classification, coding, analysis and photos. Our own trained team provides annotated digital maps and reports of all gradings, connections and other information useful to anyone who wishes to see at a glance the true state of affairs. Therefore, in addition to providing A DVD of all surveying done, still colour photographs, highlighting problems such as cracking, fracturing, deformation, open joints, root intrusion, etc. overall statistical reports, detailed occurrence grading and reports digital annotated drawings, we are in a position to offer you at no cost a computer package allowing you to view instantaneously the results of the survey of any sewer length you wish. 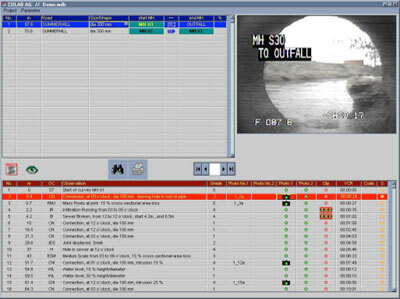 We can also provide you with real time movie clips of serious faults as well as photographs of standard occurrences. Our staff can also determine on your behalf the best form of rehabilitation required as well as performing emergency rehabilitation where required. Long and short term flow surveys and sampling can also be carried out as part of our work in order to provide you with all the possible information for your network. M & T Plant Hire offer fast and reliable manhole and sewer surveys in the Sus2000 or Mapdrain packages as well as geographically located (GPS) on the latest digital mapping packages (CAD). Designed to provide a high quality database for our clients, all survey work is carried out to the professional standards and guidelines required as well as in house quality control. With trained teams of surveyors available M & T Plant Hire can undertake all types of sewer and manhole surveys, including location of sewer networks and the production of records to WRC specification. All of our staff understands the need to safeguard the well being of everybody. Vehicles are equipped with all necessary road safety equipment and the latest gas detection and safety equipment. Where conditions dictate trained man entry teams are available to carry out underground surveys.